You’re aware that you use your teeth every day for chewing, and you may even know how important they are to your speech, but how much do you know about your tooth’s anatomy? Here is a quick primer. Enamel is the hardest substance in the human body, and it covers the outer surface of your teeth. It is made mostly of an extremely hard mineral called calcium phosphate. Dentin makes up the layer just below your tooth’s enamel. It consists of living cells that secrete a mineral substance. Pulp is the soft, inner part of each tooth that contains its blood supply and nerves. 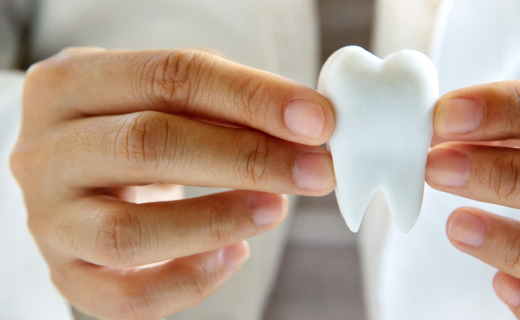 Cementum is made from connective tissue that binds the roots of your teeth to your gum tissue and jaw. Your periodontal ligament holds your teeth firmly against your jaw. The crown is the visible part of your tooth that you see inside your mouth. Your tooth root reaches below the gum line and into your jaw. Most adults have 32 teeth as described below. The eight incisors are the middle teeth located on the upper and lower jaw—four on each. The four canine teeth are the pointed, sharp teeth located just outside of the incisors. Molars are the four flat teeth at the back of the mouth. They are used for grinding food. Eight premolars erupt between the molars and canines. The four third molars, commonly called wisdom teeth, erupt in the late teens, but they are often extracted to prevent complications. An affordable dentist can help save your teeth when tooth decay, disease, or injury threaten them, but even the best dentist can’t follow you home to make sure you’re cleaning them properly. To keep your smile healthy and bright, and spend less time in the dentist’s chair, brush twice each day with a soft-bristled toothbrush, and floss daily. If you notice signs of a problem such as bleeding gums or visible discoloration of a tooth, see your dentist immediately. You did well. On time, good service.